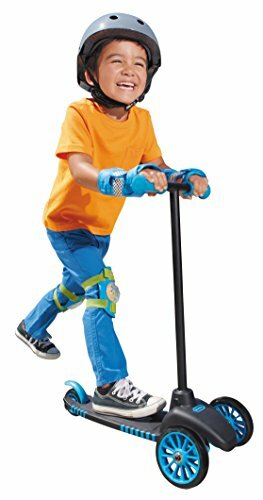 Ready To Buy Your Kid’s First Scooter? 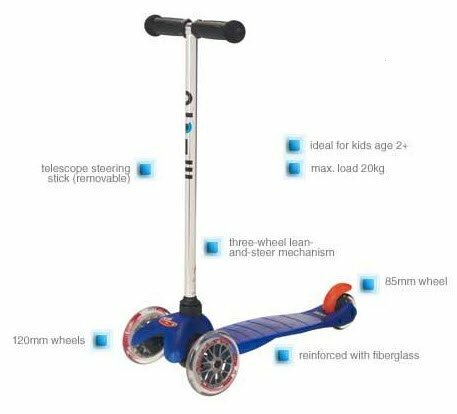 One way of avoiding constant exposure to technology (iPads, TV, and laptops) and keeping kids active is by buying them scooter. For those beyond two years old, it’s impossible for them not to love this. Whether it’s cruising around the house or the neighborhood, it spells FUN all over. However, you have to be wary of purchasing for younger kids because they may not be fully equipped to handle this gear. You need to consider their sense of balance and confidence. They MAY have all the skills necessary to ride the scooter, but they could still be confused what to do with it. 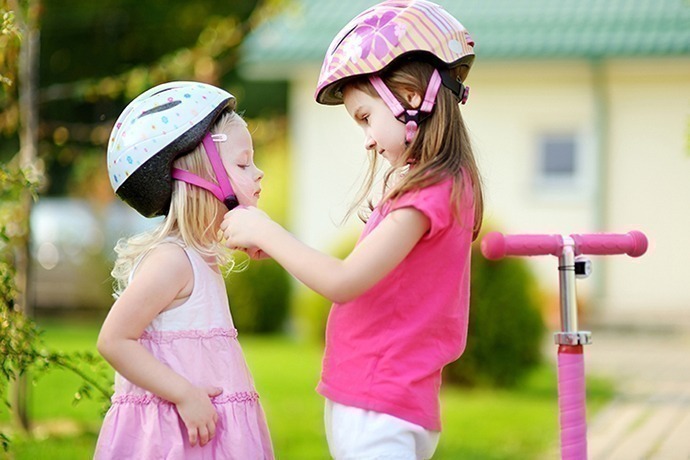 But if you do it right, riding will be their way of exercising while learning about coordination and having fun in the process. You hit multiple birds with one stone. 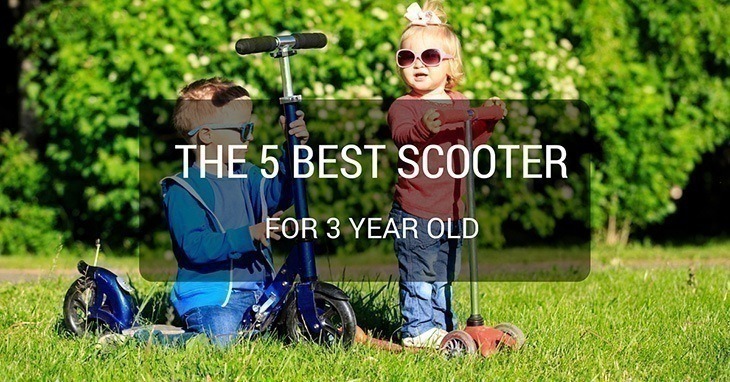 So the question remains: what’s the best scooter for 3-year-old? I specifically mentioned this age because, by the time he’s three, he has developed en﻿﻿﻿﻿ough ﻿﻿skills to handle toys like this. Although you may need to tend to scraped knees, it’s a safe time to start. 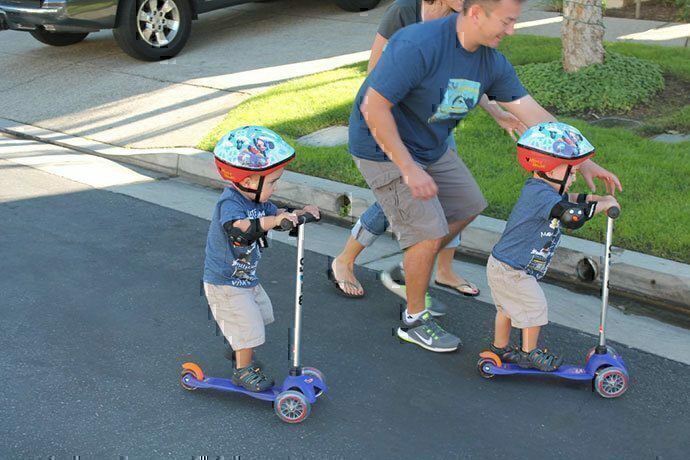 This easy-to-ride three-wheel scooter (two at the front, one at the back) teaches your child balance and coordination. It encourages them to stay active and have fun while doing it. Plus, it’s aesthetically pleasing and stylish. It looks cool with the sleek colors and has an extra wide base for additional support! It’s extra sturdy because of the high quality three wheels. It’s low to the ground deck which makes it easy for the kid to keep his/her balance. It can cater up to 4 years of age. The brake is easy to operate. It provides a more comfortable ride because it’s not rigid when you try to maneuver it. Assembling the parts is a no-brainer and doesn’t take much time. It’s cheaper than other scooters with similar features. The lean to steer aspect is pretty genius because it keeps the kid safe from falling when he/she turns fast. It may be lightweight but still stable. It doesn’t fold up easily. Some kids may find it hard to adjust to the lean to steer feature; they might have difficulty turning it. This Swiss-designed scooter allows for a smooth (and quiet! ) glide. Made of the highest quality of Polyurethrane, it’s easy for kids as young as two years old to hop on and off because it’s low to the ground. It’s durable enough to be used every day which is what your kid will most likely do! The deck is large and can accommodate both feet. The wheels and deck help absorb bumps in rougher roads. You can assemble it in less than a minute. The scooter is steady, and steering in both concrete and asphalt grounds is smooth. It can wheel over tiny rocks. It’s not foldable; you need to take it apart and assemble if you want to bring it for travel. The brake is likely to fall off. It may take some learning on the part of your little one to understand how the lean to steer works. This three-wheel scooter boasts of premium glide wheels which allow for a faster, smoother, quieter ride. The sleek and tapered deck provides a clear kick path while the foot brake ensures safety and better control for the rider. It features high performance and extra stability. The broad base makes it stable for your kid. The package includes a bag for you to carry the scooter but you need to take the handle and board apart. No worries because the assembly is easy. The high-quality wheels glide smoothly and are remarkably sturdy. It’s durable and can last up to years even with regular usage. The entire design is beneficial for smaller kids because it helps for better steer and balance. The lean-to-turn design may be unresponsive at times. The handlebars are not adjustable. So even if the recommended age is up to five years old, you kid may be too tall for it by that time. The scooter may be a bit slow for some. Nevertheless, going too fast might cause the wheels to fall off. It has super wide reinforced rear deck which would be great for better stability. The vibrant neon color is so awesome and also has a built-in raised grip surface. The material used for the handlebar is lightweight aluminum, and the rear brake offers extra safety precaution to the rider. It’s well-designed, and the structure is tight. You can assemble and take it apart in a few seconds without the need for any tools. The rear brake is sensitive which is always great. It’s durable and can hold even when used on bumpy surfaces. It’s very stable, and if your kid gets tired of riding, he can just stand on it. This design is perfect in helping little ones learn to balance. The ABEC 5 precision cartridge wheel bearings may not be appropriate for smaller children since it tends to go faster. The handle bar is stationary and non-adjustable if your kid gets too tall for it. Aside from the super sleek and futuristic design, this scooter has a secure direction button lock and height-adjustable handlebars. The steel plate reinforced deck offers maximum support for balance and the rear brake is both efficient and easily accessible. It features high rebound and smooth glide. 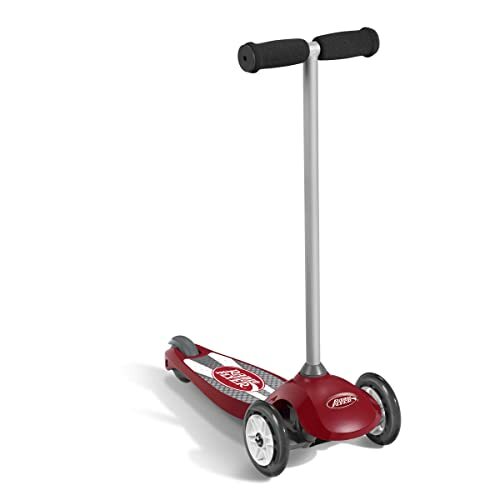 The durable structure and adjustable handlebars allow this scooter to take a beating and last for years. Your growing kid can still use this, and you wouldn’t need to buy a new one. The stable design makes this perfect for beginners especially those who need to learn more about balance and psychomotor coordination. It’s well-built, lightweight and boasts of sturdy construction. It’s easy to steer and maneuver. The wheels roll smoothly even on rough ground. Steering and turning are both smooth and great. The back wheel could be a tad slow. It would take a while for smaller kids to get used to and figure out. Beginners shouldn’t immediately use a two-wheel scooter. They need to try three wheels first. And mastering it will take plenty of practice. They will eventually gain enough confidence not to fall or incur minor injuries like abrasions or bruises. But then again, developmental milestones are different for each child, and your little one may be able to get used to three wheels easily and get bored with it. Nevertheless, this is the first step to deciding which scooter you will purchase because it’s the most basic. 1. Height and weight: This is another important factor. Some scooters have a low maximum weight limit and with a fast-growing child, he/she may outgrow it in mere months. 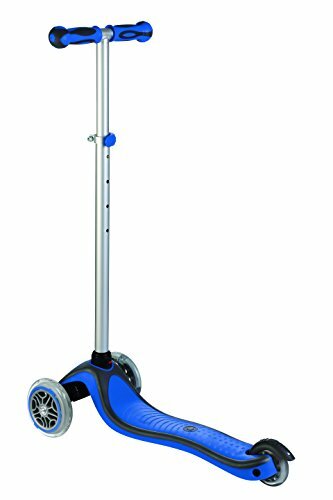 Take note; you need to choose a scooter with a weight capacity that’s AT LEAST 9-10 kgs heavier than your kid. If possible, also go for adjustable hand bars because hunching or bending over would be uncomfortable. 2. Psychomotor development: Three-wheel scooters offer a safer option when your kid is only trying it out. It will assist them in developing their motor skills because it features ﻿﻿﻿better stability. Two-wheels may be more challenging to stand on which is why it’s best for those who already know how to ride. But one good thing about it is it can be ﻿﻿maneuvered ﻿﻿easily. 3. The ABEC: It’s just the bearings. A lower number on the ABEC means the scooter will be slower. Number 1 is often the best choice for newbies. You will be choosing this and it’s imperative you don’t immediately start with the higher numbers because toddlers LOVE pushing their limits. 4. 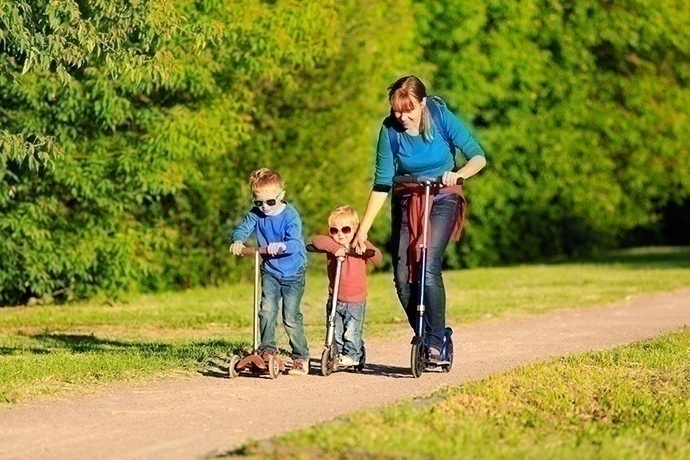 Portability: If your kid enjoys his scooter, believe me, he/she would want to carry it EVERYWHERE – to the park, school or practically anywhere which is why you need to consider whether it’s easy to lug it﻿﻿ ﻿﻿around. 1. Never forget essential ﻿﻿gears like a helmet, elbow and knee pads. While we all want our kids to have the best time, we wouldn’t want to compromise their safety. You shouldn't even ignore little bumps to the head. Tell your children this is non-negotiable. Besides, there are helmets of different sizes and designs that will be comfortable to wear. Just find the perfect fit. Also, make sure you regularly check these gears and replace them immediately if they show signs of wear, tear or wreckage. 2. Let them wear shoes. I know summer is all about sandals and flip-flops, BUT these are not the ideal footwear when riding. Your little one should be wearing closed-toe shoes or sneakers. This way, their feet are protected from the wheels, ground and will even allow them to operate the foot brakes without difficulty. 3. Choose the right size. Not all scooters are created equal, and it’s important for you to pick one which is comfortable and safe to ride. Hunching over the handlebars is a no-no and so is a high ground deck. Make sure your kid can hop on and off comfortably. 4. Don’t choose scooters which are bigger or taller than your child. I know we have this “oh he will grow into that” mentality, but the specifications are there for a reason – safety. You wouldn’t choose a shoe size that’s larger than your tot’s feet, so the same thing applies for scooters. 5. Regularly check EVERYTHING from the brakes to the handlebars. Your kid may not notice if it goes a bit wobbly because some screw loosened because he’s having way too much fun. Also, take notice if his feet are getting too small for the deck or base. Consider ﻿﻿an upgrade if he’s bending over when riding. 6. Supervise them. Some kids muster riding the scooter so fast you may think you no longer have to watch them intently. Wrong. Aside from ensuring that you provide a safe area for them to practice or ride, you need to be there and observe. Of course, you need to give them a bit of space to be independent, but you should never leave them on their own – not even when you have your older kids watching or playing with them. 7. Don’t allow them to ride near the road. Collision with vehicles is common, mind you. So aside from making them understand road safety and giving them warnings, supervision is the key. When these kids are having a grand time, they have little regard for everything else. You’re probably oozing with excitement right now. I can’t blame you because I feel the same way whenever I’m planning to buy something new for my little one. And for all the choices here (they’re all great by the way), I’m leaning towards the Little Tikes Learn To Turn Scooter. The cons for this product are no big deal to me. If it doesn’t fold up, that’s okay because it won’t take up much space. And the lean-to-steer feature can be a bit challenging, but it’s still a good way for my tot to learn. I find it a win-win situation. 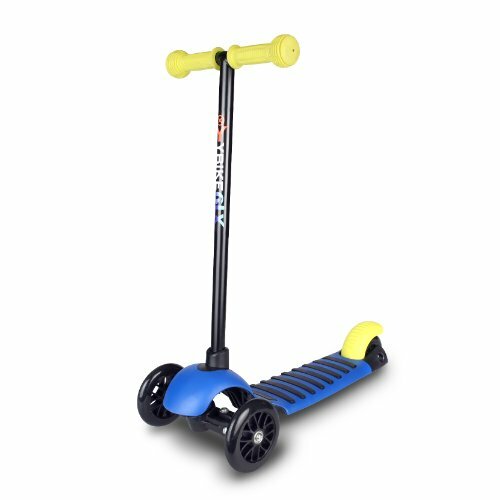 For me, the Little Tikes tick off all the requirements of a good scooter for a toddler.